Can your home router give you 5G? The other day my neighbor came to me with an interesting statement. She told me her internet service provider (who isn’t AT&T, sorry to say) came to her house and upgraded her to 5G. I listened but I had doubts. After all, 5G to the home is still a while off for most people. AT&T rolled out a 5G hotspot which works in several cities but my friend wasn’t in one of them. What could have happened? In order to understand we have to understand some terms. 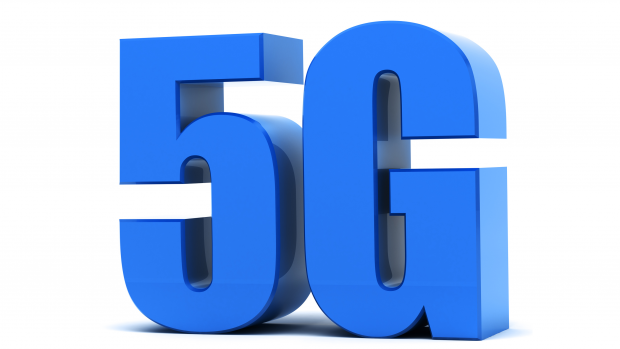 5G is the next generation of cellular services. Starting with the original cell service in the 1980s there have been four different systems in place. AMPS, the “Advanced Mobile Phone Service” replaced the original radio-based car phones in the 1980s. There was a time that if you wanted a phone in your car or boat, you called a mobile operator using something that looked like a phone but acted more like a CB radio. That operator would connect the number for you. AMPS changed all that. It let people use cell phones like, well, phones. You entered a number and you could call it. But that’s all you could do. There was no texting, no data, nothing like that. The system was analog, too. That means call quality was poor and you needed really strong broadcasts to get to the towers. That’s why phones were so big back then. In the late 1990s, cell phone companies started putting up digital networks to replace the old analog ones. This made for smaller phones and cell towers that could handle more calls. In a lot of ways this was the beginning of the real cellular revolution. Chances are the first phone you got was an early PCS phone. If it wasn’t, the first free phone you got sure was. 2G technology also allowed for data services for the first time. This really just meant text messaging and extremely simple web browsing. Speeds were slower than dialup. Unfortunately the problem with with 2G as it was implemented in the US was that there were several competing standards. With so much confusion, global standards bodies worked hard to try to get some sort of commonality to keep components cheap and phones interchangeable. 3G was the first attempt at this. It’s also the data service you used when you got your first smartphone. 4G has been the standard for several years. It’s evolved so that now almost all 2G technologies have been made obsolete and you only use 3G when there is no LTE signal. The term “LTE” came about because early marketers overused the term “4G” so they needed some way to sell the faster, more improved version of 4G. The goal of 5G is to give you the fastest data possible. Voice calls are easy. Data is the real challenge, and with 5G you should have data speeds ten times faster than your home internet. 5G antennas mounted on your home could also replace your home internet, meaning you only have one bill to pay. The magic of 5G comes from the ability to use radio frequencies that have never been used for cell phones before. The so-called “millimeter wave” bands are practically wide open giving cell companies the ability to use a lot more frequencies to serve data to people. Unfortunately it’s taking a lot of time to develop phones and devices that can take advantage of these much higher frequencies. That’s why I can say for certain that my friend did not get upgraded to 5G. Believe me if she did I’d be jealous. So what happened? What kind of internet did my friend have? The answer comes from the confusing way that Wi-Fi has been marketed as opposed to cell service. The Wi-Fi people and the cell frequency people are two totally different groups and sometimes that means they use the same terms. Starting with the 802.11n standard from about a decade ago, Wi-Fi signals have had the ability to travel on two different frequency ranges. They can use the normal range at 2.4GHz and most people use this. However this range is subject to interference from microwaves and cordless phones. For those who want the best performance, you can set up your home internet to use frequencies at 5GHz. There it was, 5G. She meant 5GHz. So this explains the confusion. I guarantee it won’t be the first time someone confuses 5GHz Wi-Fi with 5G Cellular. Trust me, though. When 5G cellular comes out, it’s going to blow Wi-Fi away. I’m really excited about it because you’ll be able to get 5G cell phones and service from Solid Signal. Will 5G cellular interfere with DIRECTV satellite?